Ice climbing has been gaining worldwide attention in the last few years. 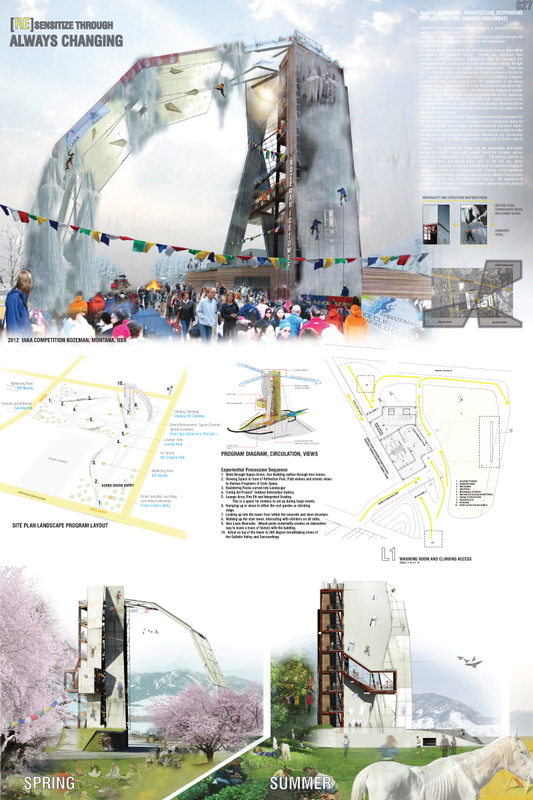 With an eye on Winter Games, we are dedicated to erecting a World Cup caliber ice climbing structure in Bozeman by the end of 2015 to serve as a national training facility and international competition venue. 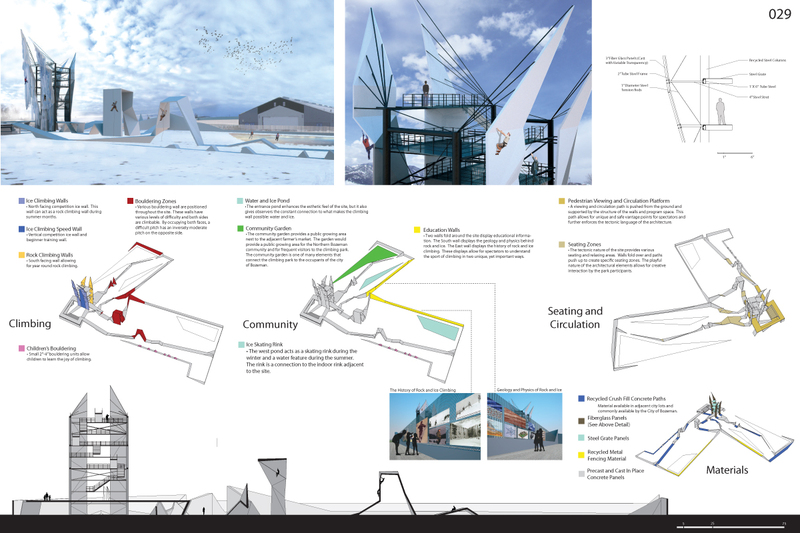 A UIAA sanctioned competition climbing structure will make Bozeman, already recognized for its premiere ice climbing, the first community in the United States to host an ice climbing world cup event. 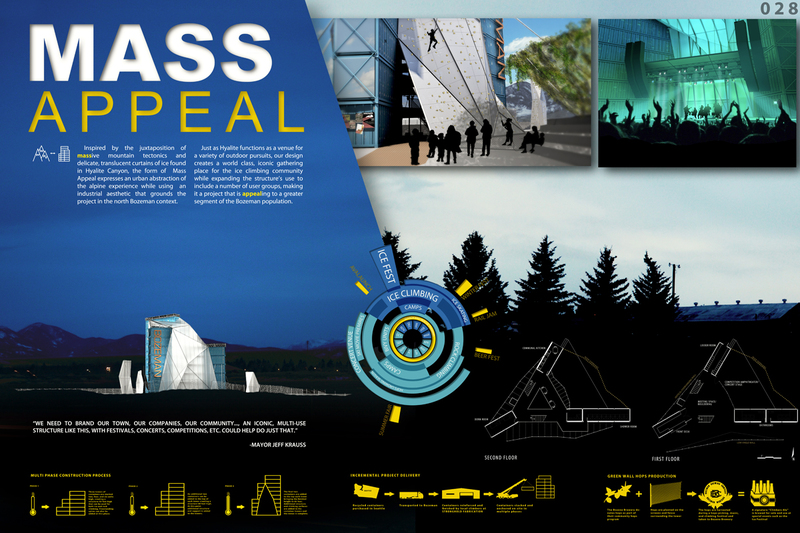 More than a competition venue, the structure will serve the community as a recreational area, rope work training facility, and event center for concerts and performances. 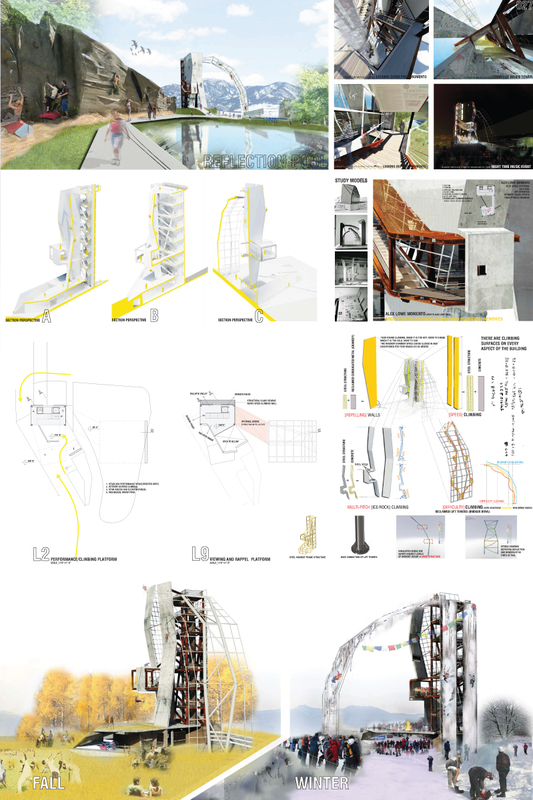 The design of the project was initiated by a student competition during the winter of 2011. Winners were selected in March 2011. 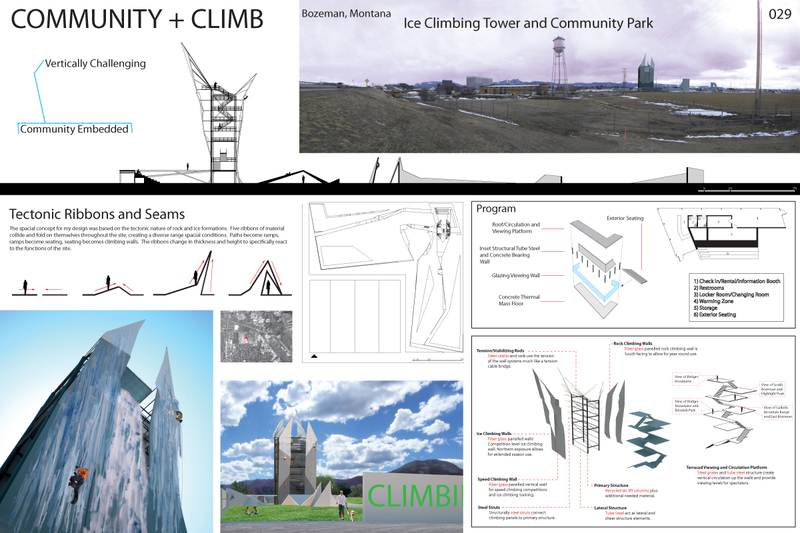 The first place winning team has joined an organized group of climbers, architects, contractors, local business people, Gallatin County, the City of Bozeman, Nishkian Monks Engineering and the MSU School of Architecture to develop and construct their idea. 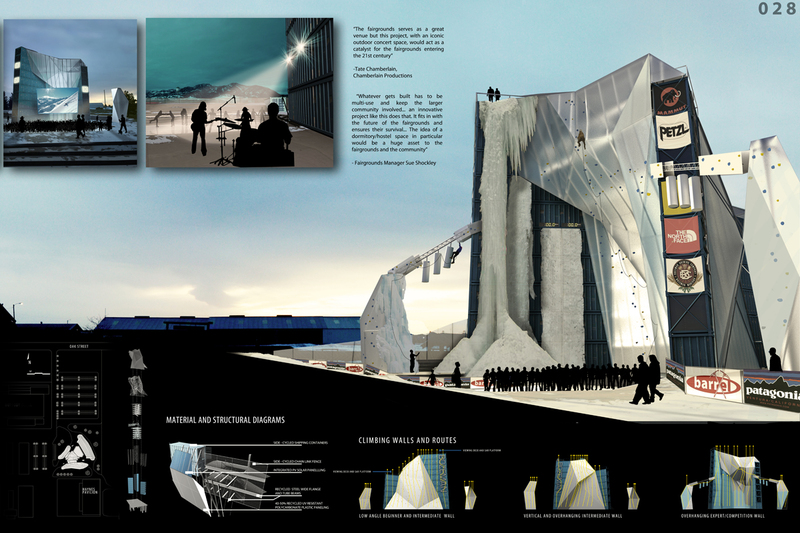 We are excited about the project and congratulate all the WINNERS of the Ice Climbing Structure Design Competition! Hello Folks! Just read about this in the Expedition News, and thought I would get in touch. Can you please have Conrad, or someone get in touch with me so we can find out about ways to support this very important project? Thanks! Joel Attaway, Forty Below, Ltd Graham, WA USA Telephone: 253-846-2081 http://www.40below.com Submitted September 8, 2011. I am really glad I’ve found this info. Today bloggers publish just about gossips and web and this is really irritating. A good web site with exciting content, that is what I need. Thanks for keeping this site, I’ll be visiting it. Do you do newsletters? Can not find it. Events” with my personal good friends on facebook. I actuallyjust needed to distributed ur very good writing!